Anyone who loves snacks should hop on to GRAZE and get their snacks subscription boxes! (No, this is not sponsored.) I first found out about this through some of my favorite YouTubers and decided to try it for myself since your first box is free. After my first free box, I was hooked. They have really healthy, but yummy snacks and that sounds like a miracle right? But I'm not kidding. Their snacks are good. You have a choice of choosing the 4 or 8 snack boxes depending on the price you want to pay for them. I personally think the 8 snack boxes are great. The cool thing is you can go on their website and choose the things you'd want to try, things you know you'd love, or choose not to ever have certain things sent to you because you know you just won't like it. This is also great for people who want to try new foods and they make things that I didn't think would have tasted good surprisingly delicious. 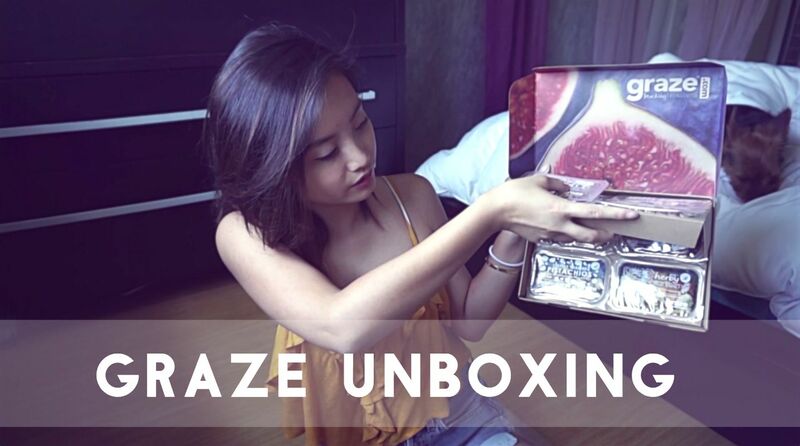 You can see all the yummy snacks in my unboxing video so go check it out! If you want to try it out, get your first box FREE with my code FIONNA9FB.